Jordan University Hospital (JUH), formed in 1975 by the merger of Amman Hospital and Jordan University, is the most prestigious medical institute in Jordan. With approximately 500,000 patients cared for each year, JUH provides the best medical facilities and highest turnover of patients from Jordan and its surrounding countries. The hospital also has a strong track record in comprehensive integrated research and a training program with over 2000 articles published in various prestigious journals worldwide. Understanding that the hospital was in need of a fully automated staining system, JUH installed an Xmatrx Diagnostics system based on its reliability, complete automation and standardized protocols. 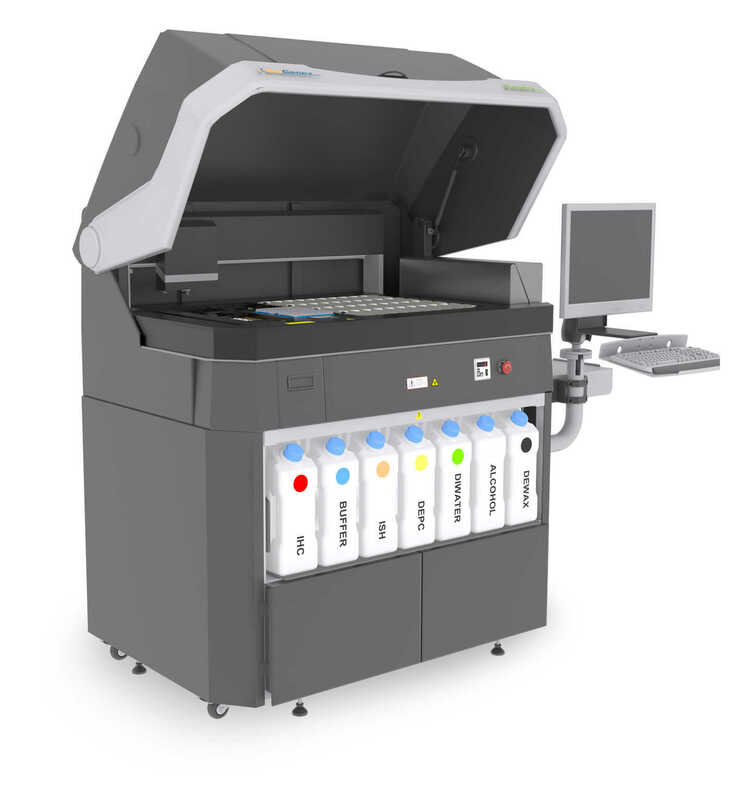 Xmatrx is a high-throughput system with the capability to process 60 slides in an 8 hour shift. The instrument is fully automated, and it is the only automated system currently available to perform all steps from baking to final glass cover slipping. Since the Xmatrx was installed the involvement of the hospital’s technical staff has become minimal in slide processing. “We do not have productivity issues anymore and our lab can now handle more work load within the same work hours and with fewer workforces. Our slide turnaround time for 40 slides was reduced from 9 hours to 6 hours. Beside improved productivity, Xmatrx brought high-quality staining results to JUH. As a group of pathologists pointed out: “The quality of staining has improved tremendously after the installation of Xmatrx. We do not have to order for repeat slide staining anymore. This has improved our productivity and efficiency by a great extent”. Xmatrx Diagnostics is an integrated system consisting of platform technology that fully automates any slide based assay staining, e.g. IHC, ISH, SS, miRNA and FISH. This truly all-in-one fully automated system (from microtome to microscope) maximizes testing capacity, minimizes hands-on time, and ensures consistent and quality results every time. The system is equipped with specially formulated and optimized reagents, including primary antibodies, nucleic acid probes, special stains, detection kits and consumables, and it delivers optimum performance and is cost effective for total automation. This underlies our commitment to providing flexible workflow solutions for molecular pathology laboratories of today, tomorrow and beyond.